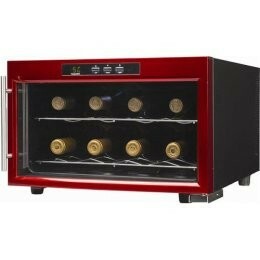 Hey, there’s a wine chiller here we sell during Christmas that usually goes for $110.00. It’s been marked down to $10.00. Do you want it? I immediately pictured a bottle of wine cooler. Who, in their right mind would pay $110.00 for a wine cooler? Then my next immediate reaction was, I don’t care how good a deal it is and how good it tastes, I don’t want to pay $10.00 for a wine cooler either. I said, “A wine cooler? Hey, cut the man some slack. He said “chiller” not “cooler”. Who says it is men that don’t listen? I’m with Mr. Corvette, you said he said “wine chiller” which is NOT a wine cooler. I believe John is correct in this instance. Sorry. OK, I WOULD agree with you, HOWEVER, (and you just knew there was going to be one), I googled “wine cooler” and it was almost entirely wine fridges. PLUS, I have stated before, my sanity is a slippery, wily, thing and hard to hold on to. Could be I was having a small lapse when he was saying the words, “wine chiller”. I will simply take oyur side with no questionas asked; clearly HE misspoke. Just sayin’. I meant YOUR side. I can never spell that damn word right. Oooh, super cute! Do they have a vodka chiller, cooler, thingy majig? Or will that work for anything? I drink red wine, from the 4 litre box. Never needs chilling. And it’s embarrassing having all those wine bottles in your recycling. Maybe I’ll keep them and start making my own. Hell, do they have any more, and what would be the shipping cost to Michigan???? Ree’s last blog post..Haiku Friday – Is it really Friday?